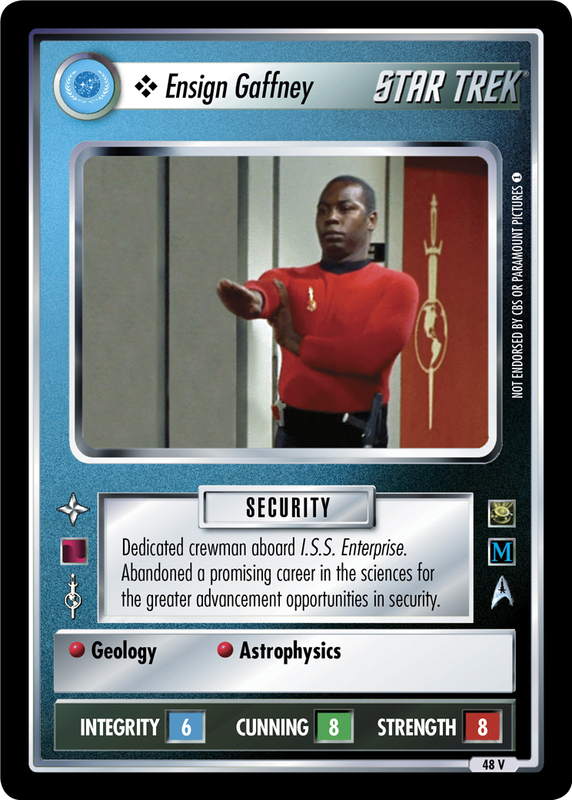 Dedicated crewman aboard I.S.S. Enterprise. Abandoned a promising career in the sciences for the greater advancement opportunities in security. Image Source: The Original Series: "Mirror, Mirror"